Irvine, California â€“ SeptemberÂ 1, 2010 â€“ Episode one of the â€˜Speaking of Wealth Showâ€™ includes educational information on several professional-related topics during the forty-one minute long podcast. 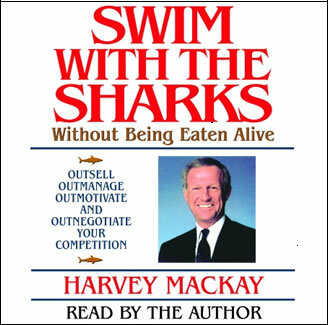 Guest, Harvey Mackay, touches on ideas from his books â€œSwim with the Sharksâ€ and â€œGet Your Foot in the Door,â€ which both relate to job searching, networking and interviewing. Mackayâ€™s interview begins with a concern over the amount of unemployed and underemployed people in the United States. He explains that 14.8 million people are looking for jobs and 6.3 million have been looking for over seven months. 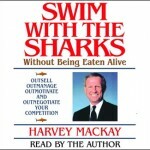 Throughout the episode, Mackay urges listeners, and readers of his books to differentiate themselves from the majority of job-seekers. â€œFind a unique way to get in front of someone and be creative,â€ he says, implying that those who think and act outside-the-box will likely be viewed differently by employers or customers. During the topic of interviewing, Mackay even suggested creating a personal video as one way to gain maximum exposure during an interview process. Concluding the launch episode, Mackay gives advice on how to achieve success. â€œYou are not in school once in your life, you are in school all of your life!â€ Mackay exclaims. â€œRead the best books ever written, including self-help book. A person should really turn their car into a university; most people spend an aggregate time of three years in their car, so why not listen to books on tape to enhance your education?â€ Mackay also believes that mentors and coaches can play a significant role in enhancing professional skills as a businessperson. In todayâ€™s world, itâ€™s quickly becoming a place where you can no longer depend on employers or government to look after you. And whether you are a professional speaker, publisher, or author, the Speaking of Wealth Show offers free educational information to help maximize your knowledge and skills to ensure your success in business and in life. The Speaking of Wealth Show can be found for free on http://www.speakingofwealth.com/category/podcast/ or the iTunes store.